President of Hast & Company, Tom Hast has spent over forty years in both the for-profit and non-profit worlds.Â He has started and helped run numerous organizations in both realms including two colleges, an elementary school, a dance company, an international training organization, and Hast & Company, the largest property management company in Boulder County which currently employs over 40 people and manages properties worth over $500 million throughout the Denver metro area.Â In this capacity he currently guides over thirty non-profit Boards of Directors in properly conducting their business. Hast was trained as a mediator and facilitator by CDR Associates in Boulder and served as the Chair of their Board of Directors for eight years.Â He helped start the City of Boulder Mediation Project and served as a mediator for the City, as well as acting as both mediator and arbitrator on independent cases.Â He has done extensive consulting and expert witness work, both locally and nationally. 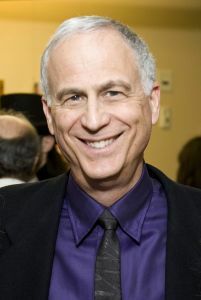 He has facilitated both large and small group processes for a number of organizations.Â He currently serves as Vice-President of Mediators Foundation, is Treasurer and on the Board of Trustees of Naropa University, and is Vice-President of the Yesod Foundation.